Home » Bidding » Cost Per Action » CPA Bid » Real Time Bidding » What Is Cost Per Action Bidding Method? 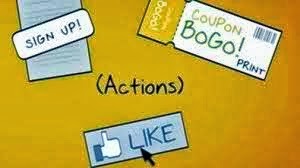 What Is Cost Per Action Bidding Method? CPA bidding is a method of paid advertising that allows you to tightly control your advertising spend. Rather than paying Google for every time someone clicks on one of your ads (as with CPC bidding), CPA bidding only requires you to pay for each conversion, a metric you define yourself when you set up each campaign. This action might be a sale, a lead, a download, or some other conversion you define. CPA advertising can help you avoid spending money on search terms that may not be directly driving business. If one of your ads displays in an SERP and does not match up with the searcher’s intent, you’ll only pay if the searcher engages with the ad and ultimately converts. Cost-Per-Action bidding (CPA) allows advertisers to specify a bid amount for an action or conversion (e.g., page_like) and get charged by the amount of conversions that they get. This differs from CPM and oCPM ads, which charge per impressions delivered on the site, as well as CPC ads which charge for on-site clicks. Furthermore, CPA ads directly optimize for conversions. It can give much better ROI for advertisers than CPC or standard CPM ads, given that conversions are better correlated with advertisers' return than impressions and clicks.